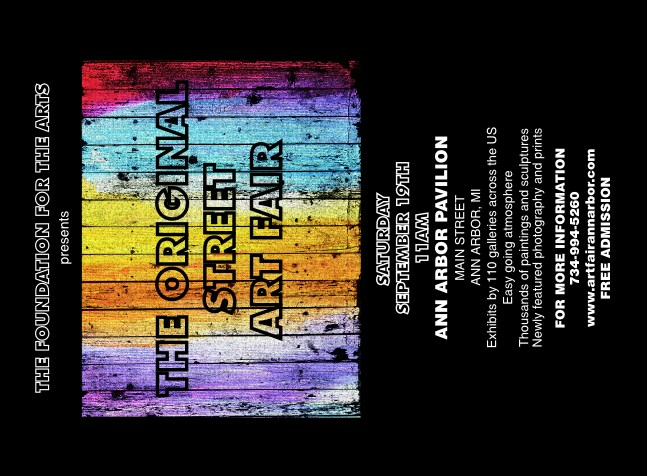 Prepare for a well attended opening or event with the gorgeous Art Fair Invitation. Your guests will be charmed when they receive this colorful invite by post. The invitation template features space for your custom details against a background palette of magentas, yellows, and blues. Find the right Invitation at TicketPrinting.com and paint a fuller picture of your event.